Lisa Moore. Photo by Carla Zavala. 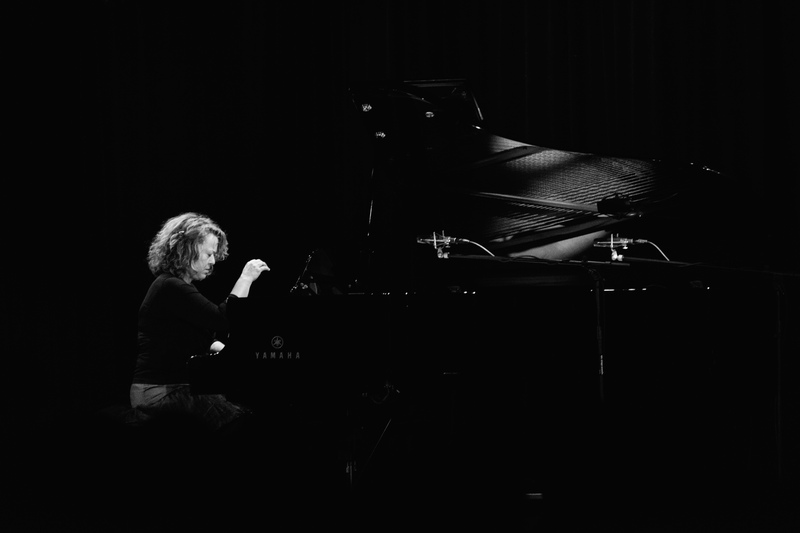 Lisa Moore packed out the Melbourne Recital Centre Salon with her programme of well-known piano works by Philip Glass and For the Sexes: The Gates of Paradise by Martin Bresnick. From the beginning of Glass’ Etude No. 2 I remembered how characteristically Moore performs minimalist repertoire. She is not afraid of taking pieces a little faster than usual, adding some rubato or hammering out particular lines. After the energetic Etude, Moore invited the audience to sit back and sink into the Glass “sublime” without applauding between works. I took this as a cue to put down my notepad as well. Throughout Metamorphosis I and II I was transported back to undergraduate music, where I first heard Glass. The performance made me wish I could go forget everything and learn about music all over again. While embracing the Glass sublime as well as I could, I also had some niggling thoughts about minimalism’s place in global history that I will save for my discussion of the Melbourne Symphony Orchestra’s minimalism-inflected Metropolis programmes. I suppose you can take the audience out of postgraduate musicology, but you can’t take postgraduate musicology out of the audience. After an intermission, the audience returned for Martin Bresnick’s musical interpretation of William Blake’s poem For the Sexes: The Gates of Paradise. The piece combines a piano part with recitations of the poem and animations of Blake’s illustrations by Puppetsweat Theater. The phallocentric panning of Puppetsweat’s animations is completely in tune with Blake’s own worship of sexual—in particular phallic—energy. The superimposition of images and words in the animations are beginning to show their age. Since the work’s creation in 2001 there have been a string of excellently-animated still drawings, from Arthur Rackham’s illustrations of The Ring Cycle in Heath Lees’ introduction to the work Wagner’s Ring, to Jessica Yu’s animations of Henry Darger’s illustrations in In the Realms of the Unreal. I occasionally found myself closing my eyes to better appreciate Bresnick’s rich score. The piano part paints the elements and stages of life described in the poem, which is read and sung by Moore throughout. Sometimes the piano part imitates the rhythm of the voice, sometimes it develops snatches of folk-sounding melodies. At one particularly weird and arresting moment, Moore trails a card over the keys while reciting the book’s poem on death and the grave. Like Blake, Bresnick draws on the most fundamental materials of life and art to produce a complex new mythology. Philip Glass, Etude No. 2, Mad Rush, Metamorphosis I, Metamorphosis II, Satyagraha Act III (Conclusion arr. Michael Riesman); Martin Bresnick, For the Sexes: The Gates of Paradise.